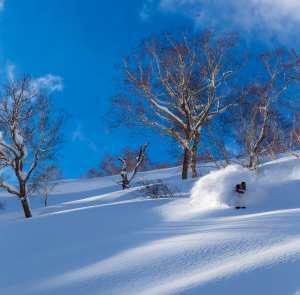 Springtime in the snow, endless bluebird, warm enough to eat lunch in the sunshine sans jacket, with any luck a good serving of spring corn snow and, as if you needed another reason to hit the slopes, accommodation and ticketing deals aplenty. I’ve got a list of the things to do in the final weeks of the season, because they’re best in Spring and because I promised myself I’d get each of them done before the season ended and there’s not long to go. Go backcountry. The snow has been accumulating on the Main Range all winter. I’ve been hearing reports of the epic-ness that awaits so I’m determined get out there. Fingers crossed I’ll be in Falls Creek on a Backcountry Tour with Steve Lee, heading out back on his custom made snow mobile. Pub to Pub. 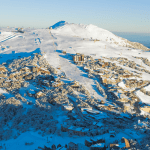 Perisher’s infamous Pub to Pub race is run, but there’s no reason you can’t stage your own, just pick a route through the on-mountain drinking establishments and get to it. Sunny decks factor heavily in the planning of my Thredbo tour, a brunch-time schnapps on the Black Sallees verandah, a cheeky red outside at Merritts, an afternoon few in the sun at the River Inn and a final round on the Bistro Deck. Perfect. Road Trip. Most of us ski at our ‘home’ resort year in year out, I know I do, I have accommodation, a pass and plenty of friends there. 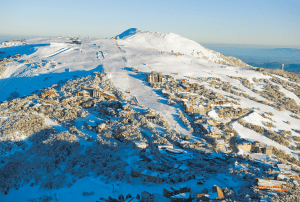 But with value season upon us – cheap lift tickets and accommodation – now is the time to see what every other resort has to offer – and if you have a Super Pass there’s really no excuse, track down a wicked accommodation deal and go visit somewhere new. 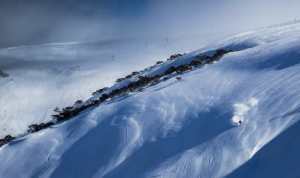 I’m going to Perisher. Cross Country. The mountains are so pretty this time of year and cross country skiing is certainly the way to enjoy the scenery. Cross country skiing can be so social, even if I need most of my lung capacity just to glide, I’ve got a bit left to chat to whoever I’m skiing with so I’ll get a posse together for spin around the cross country trails. Snow picnic. 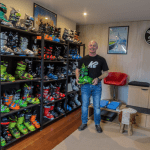 An extravagant snow picnic involves a BBQ, trestle tables and catering – the Ski Club of Australia puts on a spectacular one each year – if you’ve got the resources, a full blown snow BBQ is great. However, I’ll just pack some nibbles and a bottle of sparkling and find a high vantage point to enjoy the view with some friends. Sunrise/sunset. When I was in Buller earlier in the year I learnt that hiking to the Summit to enjoy the sunset is an institution, you enjoy the last of the sunshine before making some twilight turns home – ideally straight to the bar. Then in Hotham I discovered the Gourmet Sunset Tours, which take you to the summit in a snowcat for nibbles and bubbles as the sun sets. Spring and sunsets go hand in hand so I’m going to make sure I enjoy a few more mountain sunsets before the season is out. Telemarking. Telemarking looks hard, but with the snow nice and soft spring is definitely the time to try it and I’ve wanted to see what it’s like to free the heel for a while. In the spirit of trying new things, why not give other disciplines a go, snowboarding, cross country skiing, broaden your horizons! Sleep on the Main Range. 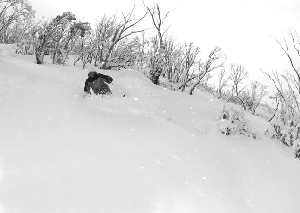 The essential ingredients for this one are a warm sleeping bag and Phil Hannam of Thredbo’s Outdoor Adventures. Phil takes overnight backcountry trips and I’ve always wanted to try one. Spring seems like the right time, a little bit warmer, days a little bit longer. Plus of course there’s lots of skiing to be done in between the camping. Final demos. I like: bargains. I don’t like: buying skis without trying them first. The end of season sales are nearly here so it’s my last chance to test drive the skis I’ll take overseas. I’m going to do some serious demoing so when those sale signs go up I know exactly what I’m aiming for.